I wanted to be an Archaeologist when I was 11, and this was certainly down to a fascination with the bones of animals. My inspiration from a very young age came from the wonderful series of ‘Funny Bones’ books by Allan and Janet Ahlberg. The skeletons certainly made me think about how the bones of humans and animals (admittedly not 100% accurate) moved together. I trace my later interest to the many books on dinosaurs and prehistoric life that I assiduously read in my school library. Fast forward 20 years and as an intern at Auckland War Memorial Museum in 2012, I was allowed to ‘have a go’ at preparing some native birds for skeletonisation by de-fleshing them. At Exeter’s Royal Albert Memorial Museum, I worked on a small project to re-house some Moa bones whose storage and provenance needed to be updated. However, I wasn’t aware of the methods to clean and maintain bone and re-mount skeletal collections in museums. 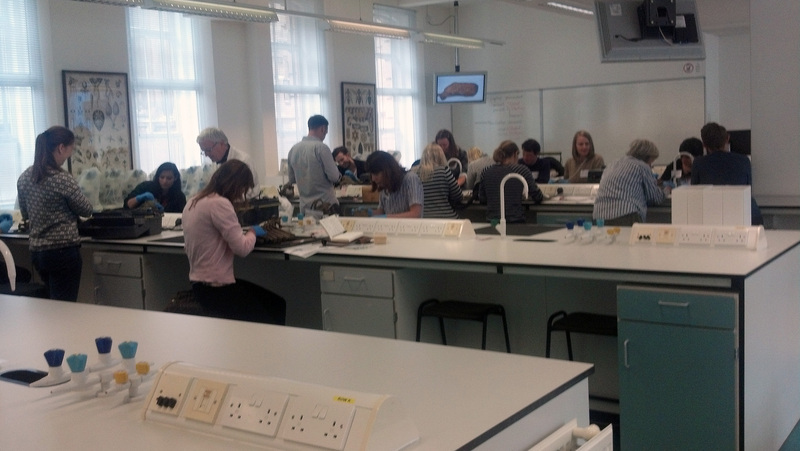 I was therefore pleased when NatSCA and conservators from the Cambridge Museum of Zoology put together an amazing conference and workshop called ‘Bone Collections: using, conserving and understanding osteology in museums’. Depending on your area of interest, you could attend for some or all of the talks, or take part in a bone cleaning workshop hosted by Bethany Palumbo, Conservator at Oxford University Museum of Natural History, and Vicky Singleton and Natalie Jones of Cambridge University Museums. 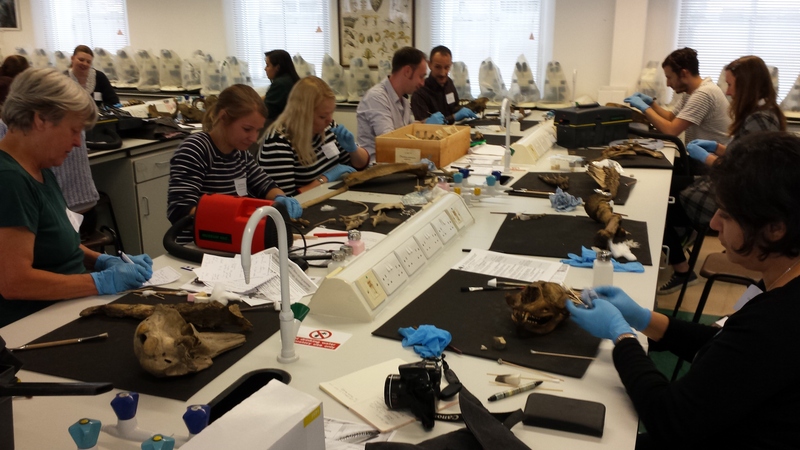 By taking part, I was able to gain some practical hands on experience of handling and observing bones in collections, and using a variety of dry and wet cleaning methods that are recommended as safe to use, easy to apply, and non-invasive. Bethany began by outlining the structure and composition of bone and the impact that light, humidity, and temperature can have on bone if not properly cared for. Bone can become bleached through exposure to light. The surface of bones can crack if they become too hot or suffer mould damage if left in cold, damp conditions. Bethany explained that the bone itself can also cause problems, such as with the secretion of natural fats and oils, which are acidic and can ooze out of specimens long after they have been cleaned and erected for display. This can lead to acid burn. Mechanical damage of bones can also occur, where wire is excessively tight in articulated specimens, or fatty acids react with copper wire and pins to cause Verdigris. Vicky Singleton and Natalie Jones then systematically went through the various methods for dry and wet cleaning of bones. The methods for dry cleaning include using a vacuum and brush, smoke sponge, a ‘groom stick’ made of natural rubber, and air. These methods are less time consuming, less invasive, and more cost effective than wet methods. I was able to choose specimens from a box of assorted bones, and see the impact of the methods for myself. I could see the difference literally first hand on the digits of a primate hand, using the various dry methods. I then used the wet methods on a collection of horse vertebrae. 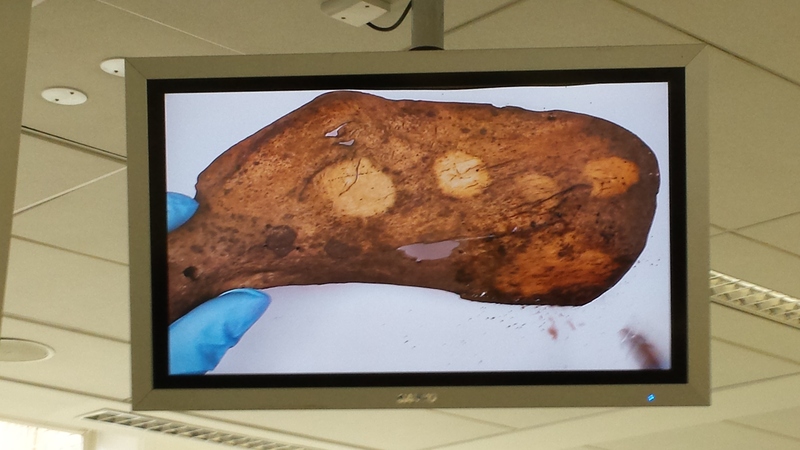 The wet methods made a dramatic difference to the surface of the bone. These include using solvents such as de-ionised water, ethanol, and white spirit, enzymes, and detergents (e.g. Synperonic A7). I was amazed by the impact of white spirit on greasy bones, where water made little or no impact. The clear favourite to remove dirt in general was actually something I hadn’t ever considered: human saliva, which is full of enzymes. Human saliva! Who knew? The talks were equally excellent, such as the session by Paolo Viscardi on the uses of skeletal reference collections at Sheffield University, which consists of over 1800 specimens, organised in a useful way for teaching and research. Jack Ashby’s #BoneIdols talk about the successful crowdsourcing project to protect some of the Grant Museum’s most scientifically important and rare specimens was also inspiring. The quagga, for instance, has became something of a celebrity in its own right through a very successful marketing campaign where visitors could see the conservation, re-mounting, and re-storage of the specimen. Interest was also maintained through press releases and blogs about the Quagga and the use of technology used in museums. Jan Freedman’s ‘Game of Bones’ talk on the methods for preparing animals for skeletonisation and using bone collections was also memorable. Save the date! The 2016 NatSCA Conference & AGM will be held 21 – 22 April 2016 in Derby, at the Silk Mill and Derby Museum & Art Gallery. A call for papers and more details will follow. We look forward to seeing you there! Museum Manager, Great North Museum: Hancock. A great opportunity to manage the Hancock and its wonderful Natural Science collections. Applications close 12 November 2015. Assistant Curator, National Museums Scotland. 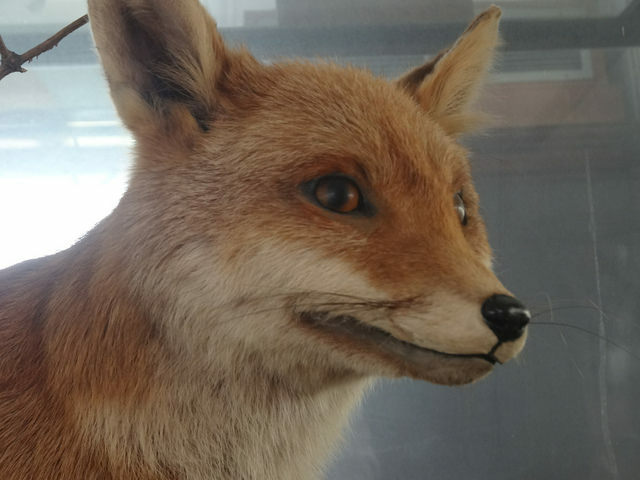 Two six-month posts in Natural Sciences, one working with the bird collections, the other with mammals and wet specimens. Applications close 16 November 2015. Vertebrate Palaeontologist, Qatar Museum, Doha. A full-time, permanent position in sunny Qatar! Applications close 30 November 2015. 26 November 2015: A talk about the #naturedata pilot system at the Natural History Museum (NHM), London. Flett Lecture Theatre, 2.30pm. 1 – 2 December 2015: Geological Curator’s Group (GCG) AGM. The full programme is now available online, and there is still time to book. The National Guard had to be called in to airlift a baby Pentaceratops excavated by the New Mexico Museum of Natural History and Science. 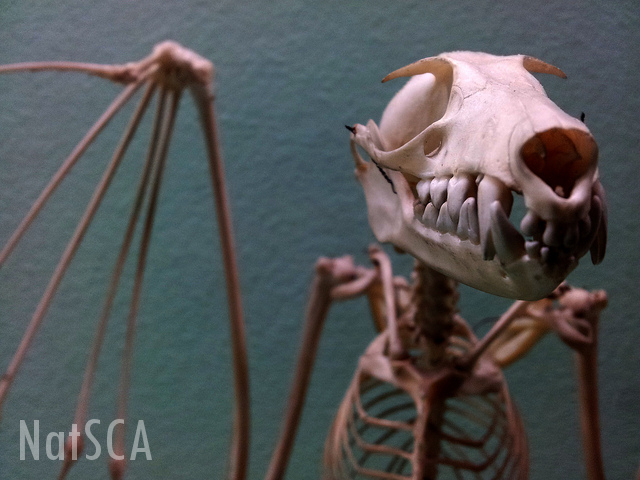 The Londonist went behind the scenes at the Grant Museum of Zoology, UCL. Historic series of museum specimens have helped to solve the puzzle of the evolution of the sparrow’s bill. A new species of bat has been discovered in the collections of the NHM, where it has resided in a jar since 1983. A relatively short shelf-life by museum standards! September 29: The Value of Digitizing Bird Collections, Carla Cicero, UC Berkeley and Lead PI for Vertnet. The Geological Curators Group is running a two-day workshop on photographing geological specimens, and 3D techniques. This will be held on 20th – 21st October 2015 at British Geological Survey (BGS), Keyworth. What to do when someone gives you a giant squid. A technological revolution in museums? 3D printing and virtual reality. A visit to Microbia, the world’s first microbe museum! CT scan reveals fossils within fossils. 19th century Ecuadorian snail specimen is a new species. Research Assistant, Vertebrate Palaeontology – University of Birmingham. 12 month post researching 375 million years of the diversification of life on land! Curator of Microlepidoptera – NHM, London. A great opportunity for any fans of minimoths! Curator of Natural Sciences and Collections Access Manager – Tullie House Museum. Still a couple of days to apply for these two. The deadline is 10th August. As always, see out jobs page for more opportunities. NBN Crowdsourcing Data Capture Summit. The National Biodiversity Network is holding a one-day meeting on digitising specimen data through crowdsourcing, at Manchester Museum on 25th September. iDigBio Vertebrate Digitization Interest Group will be holding a 4-part webinar series entitled The Value of Digitizing Vertebrate Collections. They will be held on Tuesdays in September at 3 – 4 p.m. EDT (7 – 8 pm GMT). 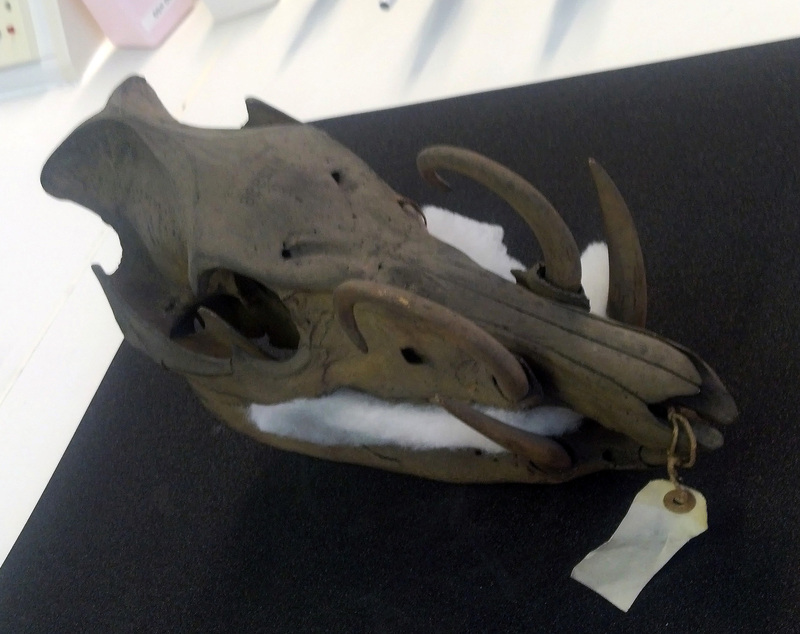 Time to re-curate those canid specimens? Genetic evidence indicates that the African golden jackal is a distinct species from the European golden jackal, and is actually much more closely related to wolves! And new genomic research has clarified the status of Eastern wolves and other North American canids. Working with the Public: How an Unusual Museum Enquiry Turned into Travels Through Time and Space. A great example of how engaging with enquiries can lead to fascinating insights into the past. 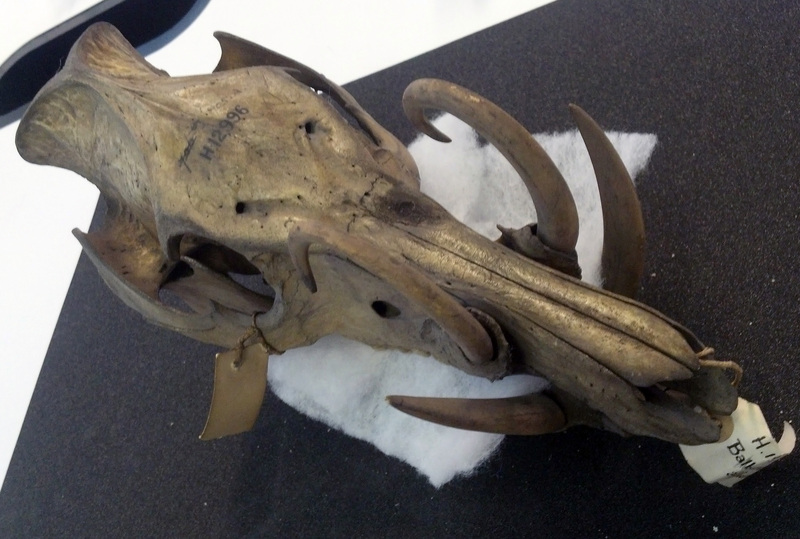 Bone Collections: Using, conserving and understanding osteology in museums. NatSCA invites you to submit abstracts for short, informal poster presentations to be held at the NatSCA Bone Collections day on the 8th September at the University Museum of Zoology, Cambridge. The day will include both a workshop on in-depth case studies of bone cleaning, re-articulation, conservation and restoration as well as presentations on bone identification and preparation, covering a wide variety of museum osteology topics. Spaces are still available for both workshop and talks. The full programme and booking are available here. Working with, understanding, using, maintaining and conserving bone collections is a large and complex topic. If you have experience and would like to submit a poster, please follow the guidelines below. We hope that this poster session will facilitate skills-sharing and friendly discussion among participants, as well as providing an opportunity to exchange tips and tricks. Poster presentations are an ideal format for student projects, case studies, innovative ideas, and tried and tested techniques, as well as research related to this topic. Abstracts must be submitted by 14th August, 2015. All submissions will be acknowledged within a few days. The posters will be on view throughout the day, with an organised time period for authors to discuss posters with conference attendees. Please ensure posters are no larger than A2 (420 x 594mm). All abstracts will be printed and made available to attendees, and all posters will be made available on the NatSCA blog in pdf format. 8th – 15th June: The Dodo Roadshow. To mark the Oxford University Museum of Natural History’s nomination in this year’s Art Fund Prize for Museum of the Year, the Oxford Dodo is touring the country, from Land’s End to John O’Groats, in just one week, visiting museums and galleries along the way! 17th – 18th June: Refloating the Ark: Connecting the public and scientists with natural history museums at Manchester Museum. Conference looking at how natural history collections can be used to engage effectively with the public and the scientific research community. 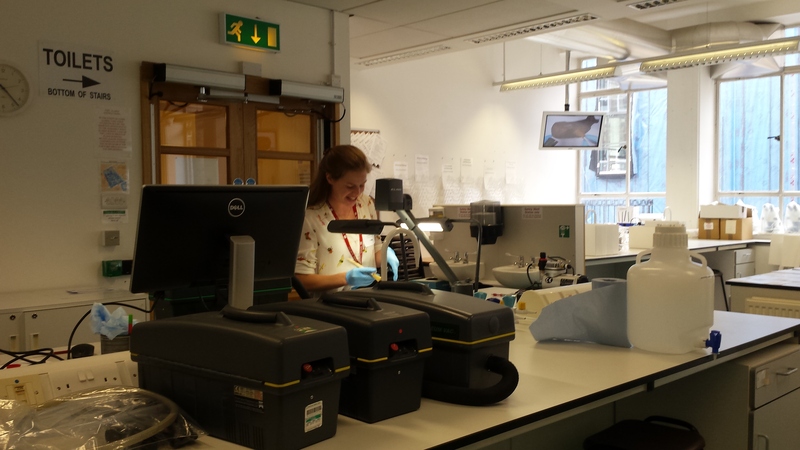 25 June: Collection Standards Infrastructure Project – Environmental Standards at NHM, London. Talk on standards for collections, display and storage and their implications. A new species of theropod dinosaur from Wales has been discovered by experts from The University of Manchester, University of Portsmouth, and the National Museum Wales. A rare meteorite stolen from an Australian museum may have been stolen to order. Scary stuff! The World Museum in Liverpool has added a new Octopus called Polvo to its aquarium! A dinosaur reading list for every dino enthusiast in your life! David Gelsthorpe of Manchester Museum on how the Page Museum at La Brea Tar Pits tells the story of Ice Age animals. NHM curator Erica McAlister has been re-curating flies. Big flies.